This week we talk about Star Trek, getting older, the 80s, how our spiritual focus has changed, church when we were kids, obsessing over beauty/self, and more! Thanks for listening! This morning I got up two hours before I needed to be at church. When your husband is the pastor, you really don’t want to have a reputation for being late every single week. Yet, every single week we walk in at least fifteen minutes after the blessed Sunday school teachers have begun their lessons. It’s always just one thing that keeps me from being there on time. Chad, of course, is long gone hours before we are, so it’s just me and the American Ninja Warrior caliber obstacles to getting myself and three children to church before the Sunday school lesson is completely over. Sometimes we are searching for a lost shoe. Sometimes we can’t manage to find a single one of the billions of hair bands that normally litter our house. Today, I couldn’t find my keys. The kids were already in the car, dressed to the nines and thrilled to be leaving the house exactly four minutes before Sunday school started. (We live in a small town. Four minute commute.) I felt victorious. We were going to do it. We were going to walk in on time. I pictured myself, waving Miss America style at all of the impressed church-goers as we walked in the door. Then I realized that my keys weren’t in my purse. I ran back inside. They had to be somewhere in plain sight. I walked through the house five times. I checked every room, and then I went to the garage and dug through my purse again. I went back inside and started throwing off couch cushions, looking in all the weird places: trashcans, drawers, under chairs. I was frantically running around the house in my heels, sweating profusely as I watched the clock tick right past the time for church to start. I felt defeated. I decided to search the car where the kids were still patiently waiting. But, the keys were nowhere to be found. I was so frustrated that I started writing a curt text to Chad, telling him that I guessed the kids and I would stay home and listen to church on the internet. I turned on my heel to go back into the house. And, then I saw the keys, sitting on top of the freezer in the garage, plain as day in one place that I would have never, ever thought to look. I picked up the keys. Instead of relief, I felt a huge surge of annoyance. I barked at Emerald to get in her carseat. The Sunday school teachers were now fifteen minutes into their lesson, and we were still in our garage. I was unkempt and sweaty. My heels were already hurting my feet. And then Sawyer handed me a Sonic cup full of day old mango slush from the backseat that had a hole in it. Mango slush juice ran right into my high heeled shoe. And, I was already tired of this day. I kept trying to give myself pep talks. I kept chiding myself about first world problems. I kept remembering pictures I had seen, haunting pictures of starving children with swollen bellies. Pictures of refugees holding their children tight as they attempted to escape death. I had lost the keys to my pretty new minivan and then spilled a decadent sugary drink in my nice high heeled shoe. I am a wretched, awful person, I thought. And Sawyer just kept apologizing for the busted slush. By the time I pulled up to the church building, I felt like I had already lived out a day’s worth of frustration and guilt and pettiness. I felt like there was no way to get my brain and heart focused on the Lord’s day. So far this day had been all about me. About my wants, my reputation, my appearance, my comfort. And, I still wasn’t managing to change my tone and be sweet to my children as I hustled them all into the building. I rushed them to their classes, dropping them off (late) without apology. A huge sigh overtook me. I turned to head for my class. But, then a funny thing happened. In every hallway, I ran across people. Not just people. My church family. Face after face, smile after smile. They greeted me with warmth. They hugged. They hello-ed. They asked me how I’m doing, and I could tell they actually wanted to know. I didn’t tell any of them about the whole lost keys debacle. I didn’t tell them that I felt off center and out of focus. I didn’t reveal that I had walked into the building feeling guilty and defeated. But, with each smile, with each face that appeared, all dear to me, I started to feel the strong arms of the church wrap around me. With every laugh, every familiar wink across the room, every handshake and hug, every prayer and every song, more and more I felt infused with the strength that comes from being a part of the Body of Christ. The building is not my church. Church is so much bigger than a structure made of brick and timber. Church is the arms that hold, the mouths that speak the truth, the eyes that fill with tears, the heads thrown back in laughter. Church is shared lives and shared struggles and shared victories and shared frustrations. Church is God’s people, living out His word imperfectly. Clinging to His truth even in our weakness. Carrying His banner of love, even though we love ourselves too much. Church is so much more than a building. I can’t live this faith on my own. It’s too hard. I’m too bad. I’m too easily flustered, angered, annoyed, weak, and wearied. I am too likely to lose all sense of what’s important. God, in His goodness, knew that we would need each other. So, He built a church made of people–all kinds. And, together, we black sheep listen for our Shepherd’s voice. Together, we know it. And, we follow. We make it, day by day, living for Him despite our many imperfections. By the time I was sitting in our packed Sunday school class, looking around the room at people that I love, I already felt God’s mercy and goodness washing over me. Yes, I had had a rough spiritual start to this day. But, here I was, sitting with a circle of believers, talking about the Truths of Jesus Christ. And His love came to me in waves through His people. Today I saw a hilarious video that shows three mothers talking about all of the ways they’re failing at motherhood, according to all the articles and videos that have been passed around on Facebook. I’m a terrible mom, one laments. I told Valerie she was pretty. Oh no! another scolds her. Didn’t you get that article I sent you? And, they go on and on confessing all of the ways that they are messing up this parenting gig, according to the internet. We mamas laugh at the video because it is true that being a mother these days is fraught will all kinds of ridiculous warnings and threats that we are ruining our children. We really do live with constant panic over all the things we are or aren’t supposed to be saying and doing. But, we have got to stop, and here’s why. The majority of the articles and parenting advice that float around the internet are dispensed by people who have a completely opposite worldview of the one that we have as Christians. So, we Christian mamas need to stop letting people who have no understanding of our values or priorities decide how we need to be raising our kids. We wouldn’t go down to the office of an atheist professor and ask him for parenting advice. 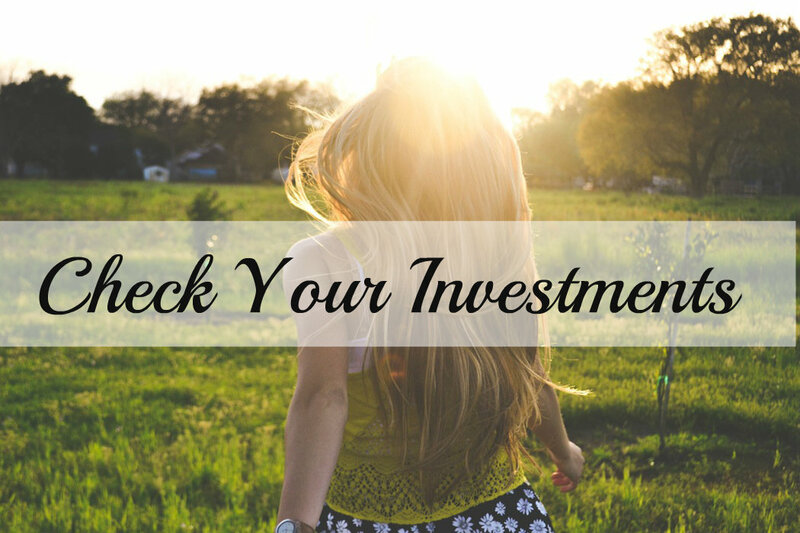 We would go to our pastor or to a trusted church friend or to our parents. So, why do we read a bunch of articles written by people who are lost and wandering and clinging to nothing but humanistic psychology and worldly wisdom and then get all worked up if we aren’t doing things the way they say we should? We have a guide for raising our children: it’s the Bible. We have a community for supporting us and offering help and advice when we need it: our church. And, if we want to take to the internet to seek parenting wisdom, let’s go to people who have the same goals in mind as we do: raising godly, kind, humble kids who are confident that they are children of the one true God, and are poised to do great things for His kingdom. Everything else is just fuel for unwarranted mom guilt. It’s time to filter, mamas. It’s time to consider the source. Then we’ll begin to break the chains that have been forged between our hands and feet and the world’s ridiculous, kid-centered wisdom. We’ll remember that we, dear mothers, are the hands and feet of Christ, in our homes, and in the lives of our kids. And, He has perfectly equipped us to do His work here. Click on the video below to see the hilarious parody of modern motherhood, which is just a little too close to reality. I’m a mere two years into the whole pastor’s wife thing. I have spent the majority of my adult life as a church member, serving where I could, being served and ministered to by the church, and making wonderful relationships within the congregations we’ve been a part of. Then, one day I woke up, and it was Sunday, and my husband was the one standing behind the pulpit. I felt no different. I had no miraculous transformation into a more dynamic or Christ-like person. Yet, here I was, sitting on the front row while the man I sleep next to preached God’s word to me. It was a strange day, that first Sunday. I had inadvertently earned a sort of round-about title due to my husband’s profession, yet I was still just myself, struggling in the same areas, being too quiet when I should talk, saying too much when I should listen, snapping at the kids on a day when I should be extra patient, forgetting everyone’s names during the greeting time. I was as ordinary as ever. As imperfect as ever. I felt exactly the same as I always had. That’s not to say that I haven’t grown in my faith in these years. I think I have. I have changed, as time changes all of us. 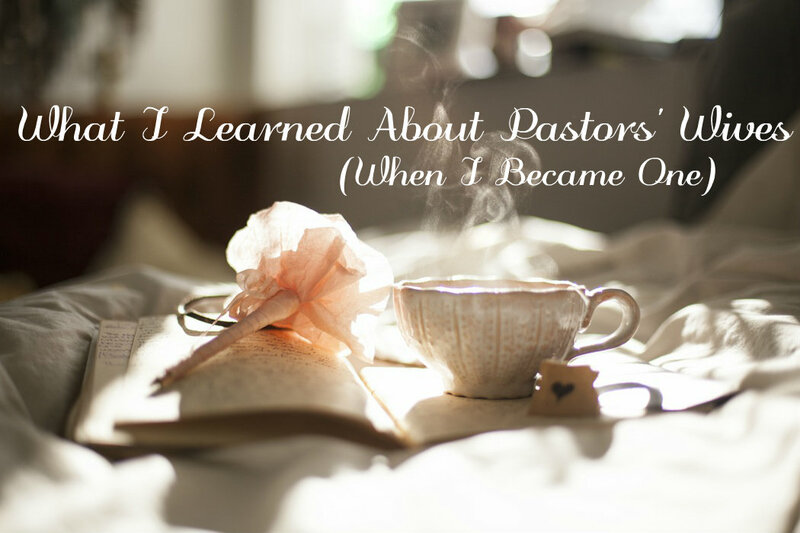 But, I have not become more like a pastor’s wife. Whatever that gleaming, golden image is that people tend to hold up as the ultimate pastor’s wife, I am not her. And, the truth is that almost no pastors’ wives are her. Everyone has her own personality, own set of strengths and weaknesses, own unique circumstances, own ideas and ways of doing things. The truth is that becoming a pastor’s wife is not a sudden cure for our less desirable personality traits. And, it isn’t an instant sanitizer to get rid of all of our sin issues. Yet, I have realized that this is what I always expected of my pastors’ wives. I criticized them (behind closed doors) for what I saw as personality flaws. I held them to a standard that I didn’t feel that I was called to maintain. And, I was unfair in my expectations that they should do things the way I thought best. God, forgive me. Sweet sisters, forgive me. Because now I know. Two years into this gig, I finally get it. There is no instant holiness or friendliness or greatness or charm that comes with stepping into the role of pastor’s wife. The truth is that pastors’ wives struggle with many of the same inferiority complexes, stresses, worries, weaknesses, and emotions as anyone else. And, I don’t know why I expected my pastors’ wives to be above all of that. I was attached to that golden idol that I had built in my head that said that my pastor’s wife should be doing this or that for me. I wish instead that I had thought of ways to minister to her, like the wonderful women at our church do. I have learned so much by watching their stunning example–they have loved me from the start, for exactly who I am. There were no golden images to tear down. They see me as an imperfect human being in a unique position who needs friendship, support, and love. I only wish I had been so Christ-like toward my own pastors’ wives through the years. Please remember this about that woman who is sitting on the front row on Sunday, the one who sleeps next to your pastor. She has a strange calling that is difficult to define. Allow her to fulfill her role in a way that suits her personality. Reach out to her. Be a loyal friend to her. And, don’t put her up on some lonely pedestal to waste away under critical eyes. Thank you to my church family for showing me how happy and fun and exciting being a pastor’s wife can be, if only she has sisters who walk with her. And, thank you to my former pastors’ wives for loving me despite my unrealistic expectations and selfish notions of who you should be. I still have so much to learn. 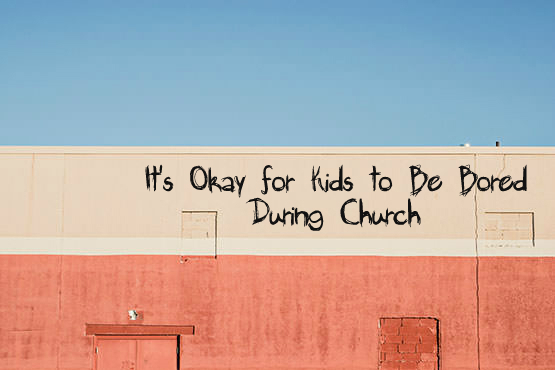 Be patient with me, church. God is working everywhere–even on the front row. Here I sit, on the last night in our Wake Village house, listening to all the familiar noises. Sawyer’s mumbling in his sleep. The train in the distance. That certain sound that the toilet in the kids’ bathroom makes. Laughing teenagers passing through our yard on their way home. This is where Chad and I remembered that life is fun. Here we cried over lost babies. We recorded songs in the garage. We stayed up too late. We debated about the best ways to do church, and we marveled that we have been called to debate about the best ways to do church. Life here has been grand. So much of Wake Village will go with me when we pull away tomorrow to head west. Their sacrificial giving without fanfare. Their offers to help in ways that bring no glory to themselves. Their humility. Their grace and mercy. And most of all, their love. The love that lives here, in this special place way out in east Texas, it is real. It is selfless. And it’s like being wrapped up in your grandmother’s quilt on a chilly winter night. Here is the only fact on this stroll down memory lane that matters: God has been in it all. This kind of love doesn’t come from people, even good people. No, it’s God. He has done this. So, tonight, I praise Him. Even though I’m sad tonight, I can see that He has done this great thing in our lives at Wake Village. And, yes, I can see that He is doing a great thing in our lives as we leave this place we love and head for Olney. God is goodness. He is love. And He does what is good. So, we can always trust His plan. And, I trust Him. Even more, I’m excited about what He’s doing. All day I’ve been thinking about the old song that says, “If we never meet again this side of Heaven, I’ll meet you on that beautiful shore.” It seems fitting as we leave our loved ones here. So, to our Wake Village family, I say thank you. Thank you for all you have taught us, for allowing us to grow, and for loving us. If we never get to see your sweet faces again on this Earth, I’ll look forward to a big Wake Village reunion around the throne of our King. We love you all so much. I really can’t say it enough. Thank you, thank you, thank you. Until we meet again.